The Breezer Uptown is a shop favourite and with it’s stylish looks, quality frame and comfortable riding position it’s easy to see why. We spent a lot of time trying to find a stepthrough bike that’s suitable for both smaller riders and our electric conversion kits and the Uptown is a great fit. The aluminium frame has among the lowest step-over heights of any bike on the market, making getting on and off much more comfortable than other women’s specific bikes. Not only this, but the smaller 26″ wheels allows for much snappier handling as well as a lower riding position, further benefiting comfort. We’ve fitted the Uptown with one of our newest electric conversion kits featuring an updated pedal assist system with a lovely colourful display and a newer slim-line Panasonic lithium ion rack battery. 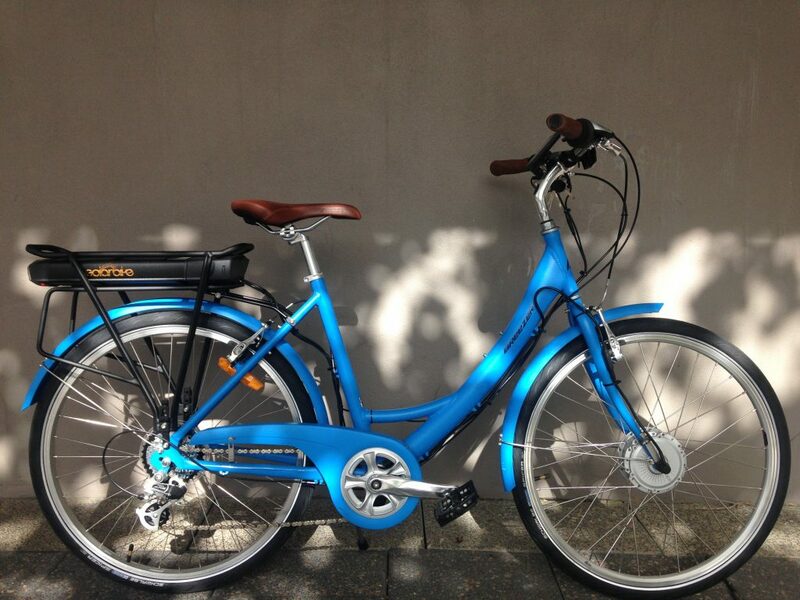 This is one of the cutest electric bicycles on the market and well worth a test ride.